May is a busy month on the orienteering calendar - lots of opportunities for racing and training, as well as having a chat and sharing some cake! The second part of May 2018 eNews will come out towards the end of the month. 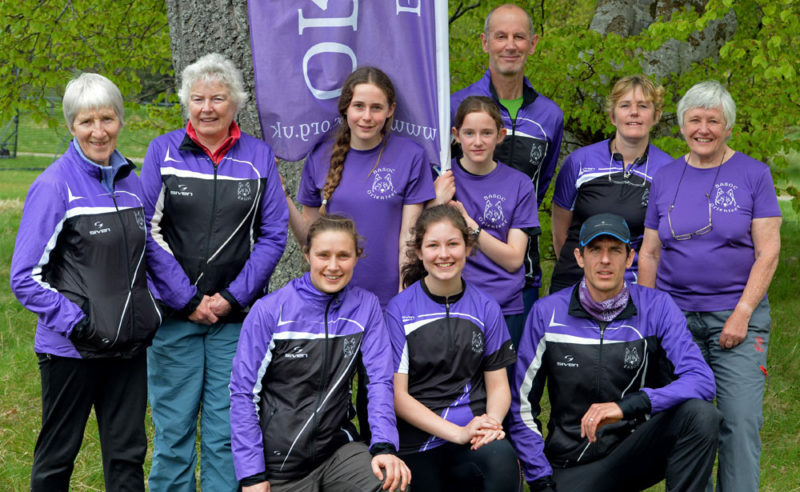 Many club members are making the trip over the hill to the British Individual Champs at Balmoral and the Relay Champs at Torphantrick on the weekend of 19th & 20th May. A week later the journey is in the other direction towards Achagour (near Dulsie Bridge) and Roseisle at Burghead. Remember for each of these events, it is possible to come along on the day and enter a colour-coded course. Look out for the BASOC flag and come along to our 'camp' around the Finish. On Sunday 17th June a BASOC team will be heading over to Braemar for the 'Jamie Stevenson Trophy', a really enjoyable event just for juniors. Get in touch with Kat if you would like to go to this. The turn out for this is great, as are the chats afterwards in the car park! The Coaching Foundation course takes place at Kincraig Community Hall on 4 x Tuesdays (29th May, 5th, 12th & 19th June). If you are interested and can commit to all 4 evenings please get in touch with Hilary Quick. This course is being subsidised by a grant from Badenoch & Strathspey Sports Council and BASOC. There will also be some low-key training for any who are not doing the Coaching Foundation course. This is the bi-ennial Scottish 6 Day Event which is always good orienteering and a chance to be sociable as a club and with other orienteering friends. The event is centred in the Crieff / Comrie area. BASOC have been allocated to day 3 (30th July), along with ESOC (an Edinburgh club). Our area is Dundurn, a new area at the east end of Loch Earn. At the moment there is a call out for 2 x planners, 2 x organisers and 1 x assistant controller for the day. If you are interested in any of these or would like further details then please contact Lynne Walker. From experience, it is a very enjoyable thing to do, usually involves a few (anything upwards of 4) visits to the area and time spent 'polishing' the courses to get the best possible use of the area. Organisers are well supported by the overall Day Coordinator and it can almost seem easier than organising a SOL (and definitely easier than coordinating the WOLF!). Saturday 9th June: Moray & Highland Junior Champs, Anagach West, please help if you can. Saturday 1st December: BASOC Club Champs and AGM, maybe Newtonmore.